You may or may not have heard the saying, “It’s not about timing market, it’s about time in the market.” But what exactly does this mean? Some new investors may tend to place a short-term focus on how their investments are performing. They’ll frequently track how their shares are going, get excited when their position rises, and then, if it falls, they’ll become carried away with emotion and saddened by a change in market conditions and short-term loss of assets. But what about the long-term picture? Over time stocks tend to naturally go through periods of growth and decline – this is completely normal. Therefore, selling off stocks after a brief period of decline rather than focusing on the long-term goal can be a strategy that doesn’t add value, given it is likely that shares will rise later down the track. Just as hard as it is to predict the downturns, it is also hard to predict when stocks will turn around and rally. This is known as timing the market – picking the tops and bottoms. To avoid having to time the market to invest, a more long-term strategy is to utilise the advantages of time in the market – that is, the longer you are in the market, the more likely you are to see a healthier return. The first step is to choose the right portfolio for you. If you are likely to withdraw your money when the market declines, you should probably be in Moderate to Conservative portfolio options. This way, a stock market decline should have less emotional impact on you. Therefore, you are likely to remain disciplined when markets decline by not withdrawing your money due to the fear of more losses and sticking with your strategy. If your savings goal is short-term (less than three years) a Conservative option is also probably best. The Aggressive and Emerald portfolio options are for those with long-term saving goals and the ability to remain disciplined during market down turns and the associated losses on their portfolios. 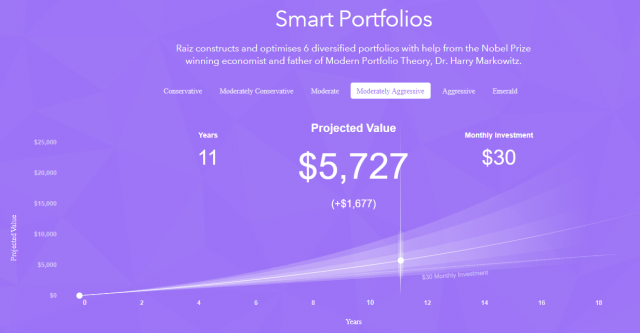 An example of the projected value for a Moderately Aggressive Portfolio after 11 years. The second step is to have a disciplined saving/investing strategy or philosophy.  At Raiz, our philosophy is to invest small amounts regularly, thus helping to manage market uncertainty. This is a well-known investment strategy, known as dollar cost averaging. 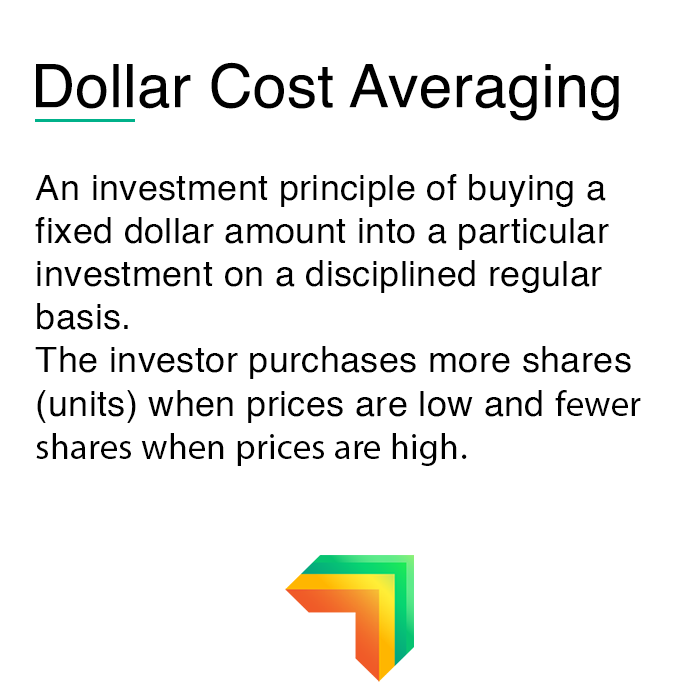 See our blog on “The Advantages of Dollar Cost Averaging”. 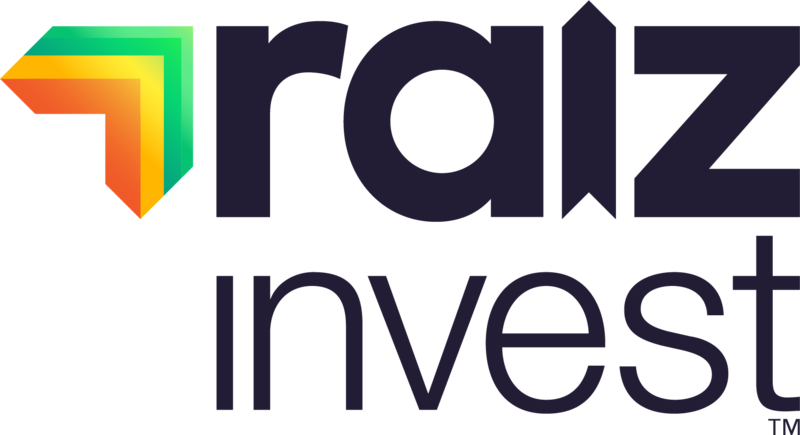 Raiz automates this strategy and does it more frequently, with the average Raiz customer investing at least once a week. The result can be a healthier balance over the long-term through the automation provided by Raiz. By automating the process, your investing strategy can also be protected against those short-term emotions. Another benefit of spending more time in the market is from compounding. This is when an asset’s earnings are reinvested to generate additional earnings over time. Reinvesting dividends into shares can increase returns due to the power of compounding. So, the longer you spend in the market, the more dividends you are likely to receive, which are reinvested into more and more shares over time. It is not easy when it is your money. We all experience the emotional high and lows that come with investing, however by maintaining a disciplined, automated approach, and selecting the right portfolio, you can avoid short term stress and take advantage of dollar cost averaging and compound returns over time.